Thursday – Friday: 12:00pm– 6:00p.m. Thanks to the generous support of our members and partners. 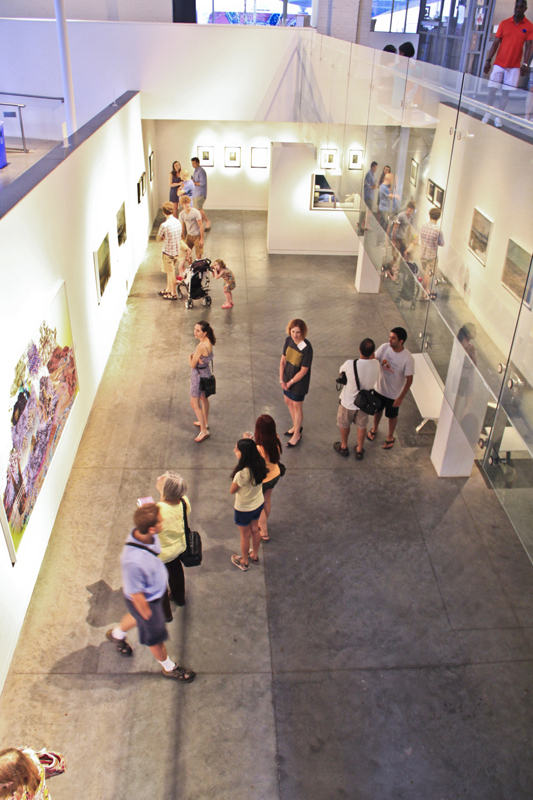 All CAM Raleigh Galleries, Classroom and Restrooms are accessible. We are happy to provide audio descriptions, large format brochures, touch tours and requested assistance for our programs and exhibitions: Please contact us at 919.261.5917 or gab.smith@camraleigh.org. CAM Raleigh is located between Harrington and West streets in Raleigh’s Warehouse District. CAM Raleigh has a parking lot located adjacent to the museum on West Martin and West Streets and there is additional hourly parking available on the street and in The Dillon Parking Garage. An extraordinary event requires an extraordinary space. To book your event, please send an inquiry to your.event@camraleigh.org. Please click here for more information. For more information, contact the Visitor Services Desk at 919.261.5920 or info@camraleigh.org.